Finally Healthy Fast-Food Chains Are Trending – Let The Hunger Games Begin! 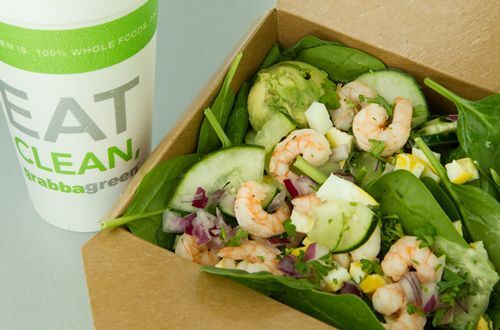 Healthy fast-food chains are popping up everywhere and revolutionising the fast-food industry. The trend may even be putting McDonald’s out of business! The franchise recently dropped out of America’s top ten favourite restaurant chains as a result of this health-centric boom. In 2017 consumers are as health crazy as they’ll ever be! They are strictly devoted to their mind, body and soul and they expect the fast-food industry to keep up. 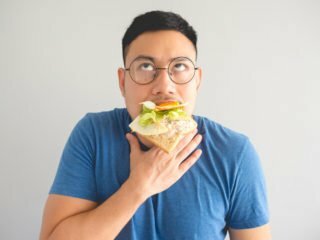 In order for a fast-food chain to identify as healthy in the eyes of their consumers, they need to consider every detail. And these up and coming healthy fast-food franchises seem to be up to the task! In fact they are steadily becoming a threat to mainstay fast-food chains, because of the rate at which they are able to produce ‘fresh & healthy’ food as tasty alternatives to their competitors processed options. According to Business Insider, legacy franchises such as; McDonald’s, KFC, and Burger King have dominated the fast food industry for decades. However, this is changing and many American consumers are showing a preference for healthier fast food that is both affordable and convenient. Food executives from PepsiCo and Campbell Soup Company told Fortune in 2016 that “cleaner food is not just a trend, but a movement. And that shift is spilling over into the fast food market too, forcing legacy chains to try to keep up.” Furthermore, franchises like Taco Bell have started cutting artificial ingredients, using cage-free eggs, and introducing lower-calorie menus. Even McDonald’s has started working with nutritionists to remove antibiotics from their chicken. They have also added more salads to their menu. These new, healthy fast-food chains are acting as major competitors by offering much healthier options for the same prices as McDonald’s or KFC. 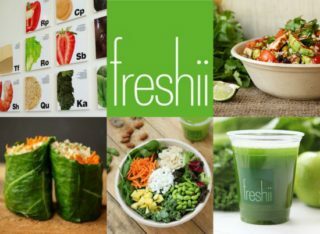 At present, these healthy food-chains are only located in the US, however they’re growing in popularity and will start emerging in other parts of the world soon. Which Healthy Fast-Food Chains Should We Look Out For? 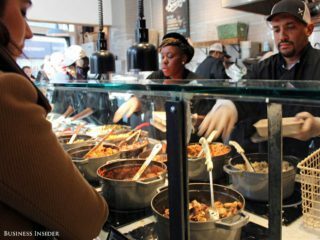 This is a healthy chain which is backed by Oprah’s former personal chef, Art Smith. According to Business Insider it started in 2011 in Palo Alto, California, LYFE has 20 locations in six states including; California, Colorado, Illinois, Nevada, Tennessee, and Texas. It may not brand itself as healthy, but all the food on the menu contains less than 600 calories and 1,000 mg of sodium. Furthermore, the meals have a zero fructose, corn syrup, butter, cream, trans fats, MSG, and preservative content. The kitchen is also affordable, because it only costs less than $10.for each item. A drive through salad chain, which sells a variety of salads for only $6. It also has a wide choice of soups, smoothies, and breakfast meals for a small cost of $4. It focuses on making the ordering experience fast and convenient. The co-founder Roushan Christofellis told Business Insider that “since launching in 2016, Salad and Go now has six locations in Arizona, with plans to open eight more by 2018 and to expand elsewhere in the US by 2020. This is a farm-to-table eatery which has a menu that only includes locally sourced vegetables. Dig Inn “offers items like maple and sriracha-glazed Brussels sprouts and poached wild salmon.” Moreover, any restaurant can order pre-made main dishes and sides at the counter, which are placed in compostable boxes. The healthy fast-food chain establishes partnerships with local farmers, allowing them to keep their low prices. Characterised as a grab-and-go healthy fast-food chain, its prices are also never higher than $5 per item. The food chain is part of a larger chain of restaurants, called the Kitchen. Their goal is to always strive to use produce and meat from local sources. There are also plans to expand the business further. A healthy, plant-based fast-food chain that has actually been around for years! It first started in Canada in 2005 and provides salads, wraps, and bowls. The salads are all under 700 calories and cost $7. Furthermore, it has more than 300 locations in the states and is the most popular healthy fast-food chain. In the past few years, new locations have opened inside airports, stadiums, and Target stores. These are just a few of the healthy fast-food chains popping up. You can expect to see many more, not just in the US, but worldwide by 2020. The healthy food movement is revolutionising our food industry. 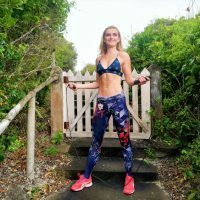 Don’t get left behind – leading a healthy lifestyle is becoming easier than ever before! Do you want to read more about food trends? Then this article on, The 5 Best Healthy Food Trends Of 2017 So Far is worth a read.